Time for a post on a topic other than energy/environmental issues. I read an interesting Op-Ed today on US strategy moving forward in Afghanistan by John McCain and Joe Lieberman in the Washington Post. There were a couple of aspects of the article I agreed with, such as the fact that our focus can’t be “sporatic counterinsurgency strikes”, but a dedication to the Afghan people, because like in Iraq you have to win over the population. Ultimately, the Afghan people have to take ownership and stand with US troops to fight for their own country, but first they must be able to trust the US commitment to them. I also don’t think a minimalist approach gets us anywhere. However, I felt but I felt as though they neglected two things. One was the fact that unlike Iraq which technologically and institutionally was maybe half a century behind the US, Afghanistan outside of Kabul is like 400 AD. President Karzai is essentially the Mayor of Kabul, and outside of that the rest of Afghanistan is largely lawless and without electricity or running water. It’s a very different country from Iraq. Therefore, what we would consider a stable Iraq shouldn’t be the litmus test for a stable Afghanistan. Additionally, addressing the issue of Pakistan and their role in providing a safe haven for the Taliban wasn’t mentioned at all. The strategy for dealing with that issue is very tricky and sticky, but ultimately you aren’t going to have a stable Afghanistan if the Taliban can just march in across the border and kill people when they feel like it. I did a lot of research last fall on the situation in Pakistan and how it relates to Afghanistan. I checked my computer, but I could only find an incomplete draft of the paper because I wrote it with a partner, and I only have my half of the information on my computer. However, if you would like a bit more background on why Pakistan is harboring terrorists and how this impacts the effort in Afghanistan, read below. With the election of a new president, the Iraq War nearly 6 years running, and the war in Afghanistan uncertain, the United States has a lot of choices to make in how to continue the War on Terror. Pakistan will undoubtedly play a key role in both this war as well as American foreign policy going forward. Therefore, it’s important to examine what the history of Pakistan from the US relationship with them, to the rise of Islamic Fundamentalism, the Soviet-Afghan War, and post September 11th. The relationship between the United States has been a complicated one since it’s inception in 1955. The basis for the alliance has been the mutual interest of protection for Pakistan, but with a fear of different threats. While the United States has given aid to Pakistan as a means of preventing Soviet expansionism, Pakistan has sought protection from India. 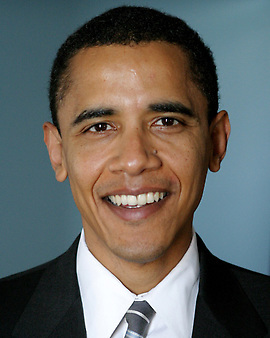 Present day, president elect Barack Obama made news headlines in early 2008 when as a candidate he declared that Pakistan was harboring terrorists within it’s borders, and if the country didn’t act to take them out, he would. This should raise a lot of questions, namely why Pakistan is a host to terrorists, whether they are incapable or unwilling to take them out, and whether Obama’s rhetoric is justified. Pakistan turned to fundamentalism with the Soviet invasion of Afghanistan in the 1980’s. Taking a step back though, the real jump-starter was in 1977 when General Muhammad Zia ul-Haq seized power in Pakistan in a coup, becoming president. The US responded by ceasing all aid to Pakistan, and this caused Zia to rule cautiously to try to win foreign approval. However, in 1980 when the Soviet Union invaded Afghanistan, the US began aiding Pakistan again, which allowed Zia to rule how he wished without fear of losing the aid money. He passed pro-Islamic legislation, introduced Islamic banking systems, and created Islamic courts. This helped him consolidate his power. He also created tens of thousands of madrassas, which are Islamic religious boarding schools. These schools stemmed the uprise of many of the future Islamic militants over the following decades. Another key change was that military personnel were promoted based on how devoted to Islam they were. This opened the door for radical Islam to spread into the military, and some extreme factions gained influence in the army. This created a culture of Jihad that remains in Pakistan to this day. Tying into how fundamentalism grew due to Pakistani leadership during the Afghan-Soviet war, the role the war played on the mind set of the Pakistani people complemented the effects of Zia’s policies. Pakistan became one of the largest arms markets in the world, with over 4.5 billion dollars of US smuggled goods passing through it’s borders. This was facilitated largely by a close relationship between jihadi groups linked to mainstream Islamic parties that had outstanding support of the state. Even today, these groups remain commonplace in much of Pakistan, especially along the border with Afghanistan, as well as Kashmir. One strong factor to the strengthening of these groups is they were also supported by Western counties. For example, Ronald Reagan called the Afghan mujahideen “the moral equivalent of our founding fathers”. Jihadi groups in Pakistan became very compelling to the majority of Muslims in the country, with a very strong upswing in religious nationalism, partially due to the President’s policies, but also because the Soviet Union was depicted as “godless”. This widespread public support for Jihad against the Soviets is an explanation for the relentless expansion of Jihadi culture in Pakistan. Especially in the Paktun areas that border Afghanistan. Even following the fall of Zia, these relationships and links between the state, Islamic parties, and the jihadis wavered very little. During the Afghan war with the Soviet Union, Osama Bin Laden took up residence in Peshawar, which is a town in Pakistan which borders Afghanistan. Here he, he ran a smuggling operation to funnel money, arms, and fighters, and built up a lot of relationships with Pakistan’s Intelligence agency, and warlords. Bin Laden’s alliances with these people has also remained strong over the years. Many of the same rebels that fought in the war which Osama Bin Laden befriended have taken up residence in the border between Pakistan and Afghanistan. This history contributes considerable explanation for the events that followed the September 11th attack, and the relationship between Pakistan and the United States. Looking forward, president elect Obama has outlined three options to addressing Pakistan and the terrorists that reside on the border. One possibility is using the aid that the United States is giving to Pakistan at leverage. This could mean altering what the money can be used for, or taking away part or all of the aid unless Pakistan makes significant efforts to root out the Taliban on the border. Another idea Obama has mentioned, but hasn’t elaborated much on is strengthening and encouraging Pakistan’s level of Democracy. The logic behind this is that a major problem with the previous President Musharraf was that his rule did not encourage Democracy. This suppression of the voices of the Pakistani people caused them to be more sympathetic to the viewpoint of the Taliban and the rebels on the border than to the government. Since the United States supports and relies on the Pakistani government, this is a problem. In order to root out the Taliban, the people need to view the government more favorably, and a good way to do that is to make it more responsive and accountable to people. Finally, as previously mentioned, Obama has stated that if Pakistan did not go after the terrorists within it’s borders that he would carry out attacks on the Taliban that were in Pakistan. Our opinion is that Obama should exhaust options one and two before reverting to attacking. There are a few reasons why we feel this is the best way to proceed. For starters, we’ve already seen the mistake from the Iraq War in not exhausting all diplomatic options between going to war. The fact of the matter is that our relationship with Pakistan is very important, and it could be tarnished if we violate their sovereignty. Therefore, we should only do so if it’s absolutely justified. Additionally, by exhausting diplomacy, we would have more credibility with our allies. This way, if push came to shove and we had to attack within Pakistan, we could have support, and go in as a coalition rather than unilaterally. I wrote this comparing Barack Obama and John McCain when it comes to energy and the environment. Here is a very good Op-Ed highlighting why if you care about these issues, Obama is the man, not McCain. There is a misconception put forth by the McCain campaign and propagated through the media to misguide voters. It’s a lie that Obama and McCain are identical when it comes to global warming, renewable energy, and the environment. The fact of the matter is that Barack Obama’s energy plan is easily the best that has ever been put forth from either party. It has so much depth and detail to it that I can only scratch the surface here, I will follow up with more on it in future posts. First and foremost, Barack Obama’s climate change policy actually meets what the science demands. It will be nice to have an administration that believes in science. The plan calls for the implementation of an economy-wide cap and trade program to reduce greenhouse gas emissions 80% by 2050, and to 1990 levels by 2020. He also wants to invest $150 billion over the next decade to develop climate friendly energy sources and create millions of green jobs. There is a goal of a 10% renewable electricity standard by 2012 and a 25% standard by 2025, and extending the production tax credits for renewable sources for 5 years. 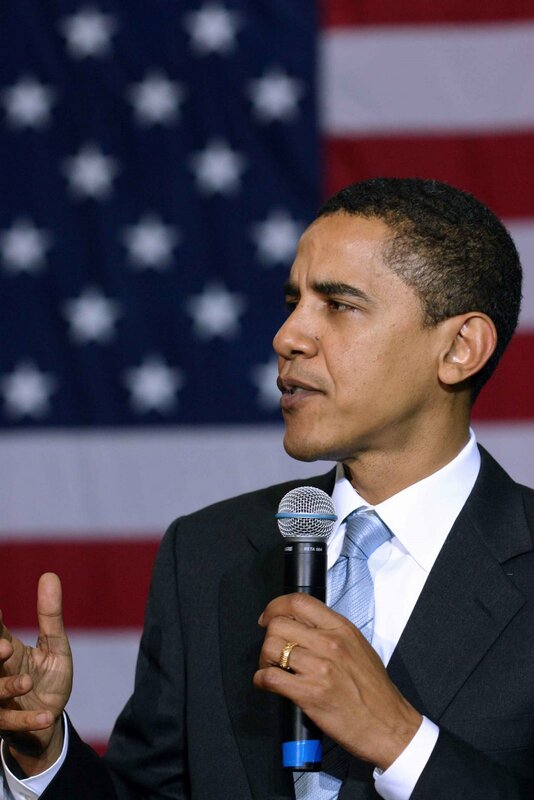 Energy efficiency is a vital aspect of any energy plan, and Obama doesn’t dissapoint. He will implement aggressive energy efficiency program which will reduce consumer energy usage 15% below the Dept. of Energy’s projected levels by 2020, at the same time saving consumers $130 billion. He wants to overhaul Federal efficiency standards , invest in improving our electricity grid, and will set a goal to make all new buildings carbon neutral by 2030. He’s also going to flip utility incentives so that they are rewarded for reducing energy consumption, rather than for increasing it. We’d all like to drive cars that burn cleaner fuel and go further on a gallon of gas. Obama has a goal of increasing CAFE standards by 4% each year while putting 1 million plug-in hybrid vehicles on the road that get 150 mpg by 2015. He will mandate that all new vehicles be flex fuel, and institute a National Low Carbon Fuel Standard which requires fuel suppliers to reduce the amount of carbon in their fuels 5% within 5 years starting in 2010, and 10% after 10 years. Last but not least there will be a $7,000 tax credit for people who buy or convert advanced technology vehicles. One look at Obama’s past record on these issues tells us that he will keep his promises. One year in the Illinois State Senate Obama received a 100% environmental score, and his lifetime score in the US senate is 86%. John McCain’s lifetime score is a robust 27%. In the winter of 2007, a crucial vote came on a bill before the US Senate. The renewable energy production tax credits for wind and solar are set to expire at the end of 2008. Not extending these credits could devastate the momentum that renewable sources of energy have, and continue our dependence on dirty nonrenewable fossil fuels. The bill that would have lengthened the credits was turned down in a Senate vote of 59-40, where 60 were needed for it to advance. One of the Senators couldn’t be bothered to turn up to cast the deciding vote. It was John McCain. This is but one example in a disturbing trend since 2005, where John McCain seems to disappear off the face of the Earth every time there is a vote on renewable energy. Remember the economic stimulus package the government gave out? There was an amendment to include clean energy incentives in the bill. John McCain once again was missing from action. With wind turbines, solar panels, and talk of renewable energy in his campaign commercials, John McCain talks a big game on energy. But the straight talk express doesn’t seem to walk a straight line. It’s unfortunate, this could have been an election with two green presidents. In 2000 it may have been, but John McCain is no longer the Maverick he once was. Now, John McCain is a sidekick. Along with George Bush, John McCain supports offshore drilling in environmentally sensitive areas even though Bush’s down Dept. of Energy says it wouldn’t lower the price of gas. Along with Bush, McCain supports the billions of dollars in tax breaks that are being given to the oil companies. Bush promised before his election that he would cap greenhouse gas emissions. Will McCain stand by his predecessor here as well? McCain is so obsessed with the idea of nuclear power, it’s a testament to his campaign staff that he isn’t glowing a bright green. He doesn’t seem to understand that building nuclear power plants are unreasonably expensive and very time consuming. There’s a reason that there has been billions of dollars of investment into wind and solar, but zilch in to nuclear. The free market rejects it. Now it’s time for the free will of the American people to reject John McCain, and elect Barack Obama. A secure energy future without catastrophic climate change is at stake. Like I said, I’ll be having many more posts on this issue, but the point of it all is to make sure you know that I am DEAD CERTAIN that if you elect Obama, we can solve our energy crisis and combat climate change. If you elect McCain, you reap what you sow.